The best place to start (or end!) is with a drink at the Stags Head Inn which is at the heart of the village. It was on this village green outside the church that the ancient Yarlington Fayre used to be held. 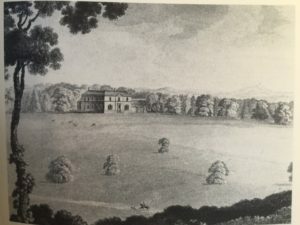 This Fayre, which continues today in the beautiful parkland of Yarlington House is one of the oldest in the country, having been granted its Royal Charter in the 14th Century. 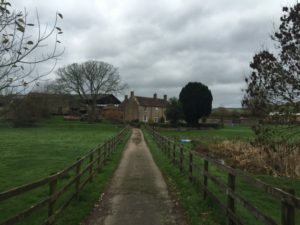 Indeed it was the inspiration for the plot of Thomas Hardy’s novel The Mayor of Casterbridge, when a local farmer William Atwell sold his wife for five shillings in the 19th century. The innovative and now famous Yarlington Fringe Festival is another event that occupies this village heart. 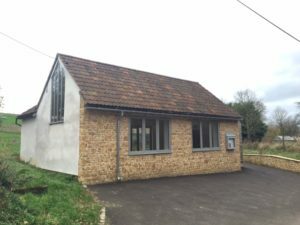 If you look at the cross roads next with your back to the pub and turn right you will walk past the recently refurbished Village Hall and also see a beautiful example of the thatcher’s art on the same side of the road. At the top of the hill you will be by the drive leading to Yarlington House which sits in its own parkland. 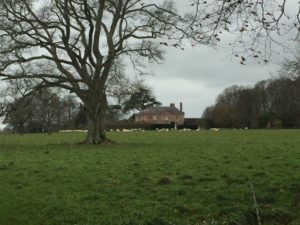 The house was completed in 1785 and if you walk further up the hill to the crossroads with the old Sherborne to Bruton Road, it can be seen across its park. 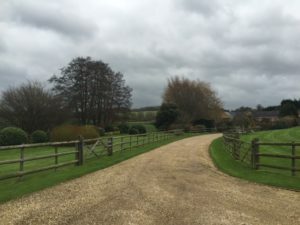 If you turn left at that crossroad you will pass Eastwood Farm on the right and before you hit the A371 you will see the old Toll House on the left. 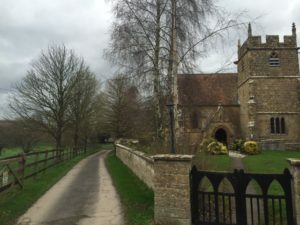 If you retrace your route about 100 yards there is a footpath to the eastern boundary of the parish on the left and to get back to Yarlington take the right turn lane that goes along the valley of the Cale. On the right is God’s Hill which has terracing that dates back to the 13th century when population pressures bought into use land previously considered too steep for cultivation. The Black Death relieved the pressure on the land and it went back to grazing – where it has remained. God’s Hill is believed to have been a British fortified camp in pre-Roman days. Back by the pub you will be next to the Church of St Mary which has Norman beginnings, with a chancel that dates from the 14th Century. The nave was substantially rebuilt in the 19th Century. 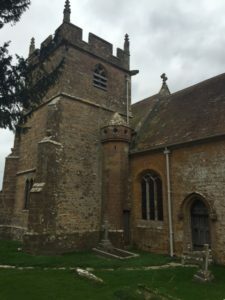 Recently important repair works on the tower have been generously supported by the Heritage Lottery fund and Viridor supplemented by energetic village events that include the Yarlington Fayre. 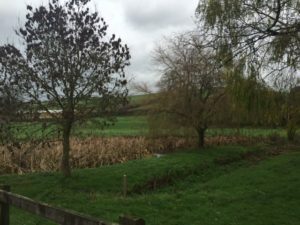 Beyond the church is Manor Farm which looks over the site of the old Manor of Yarlington of which there is little trace left except a fine carp pond just below the churchyard. Behind Manor Farm there is a footpath that runs uphill past the Yarlington Sleights on the right towards Grove Crossroads on the A371. If you instead leave the pub on your right you can walk down the lane towards the western edge of the Parish. Right on the boundary is Yarlington Mill which has given its name to the famous cider apple that is a feature of much traditional cider in this eastern part of Somerset.